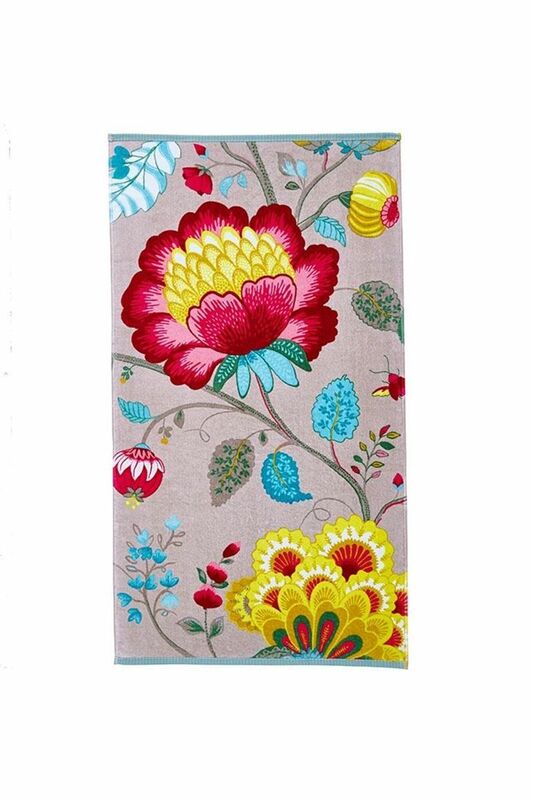 The Floral Fantasy Khaki bath textile has a floral print on a khaki background. 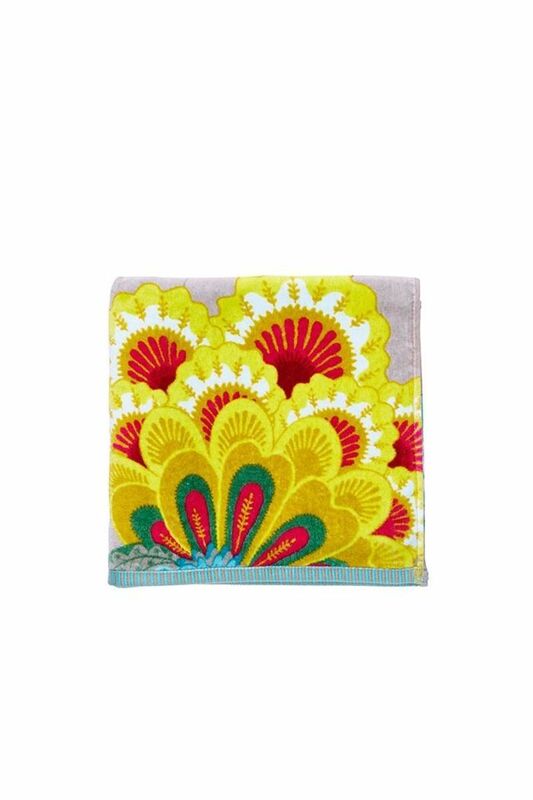 The bath textile is available in multiple sizes: 16 x 22 cm (washcloth), 30 x 50 cm (guest towel), 55 x 100 cm (towel), 70 x 140 cm (large towel). Made of 100% cotton velours. Print may vary slightly. Also available in the colours white, petrol and pink.